Papers by recollections, flowers by Prima Marketing, Petaloo, Recollections, Quote stickers by DCWV, wood element found at Michaels, journaling tag by Anna Griffin, crystals by Prima Marketing, chipboard by K&Company. I used white Tim Holtz distress crackle paint on the round chipboard. They also have a giveaway this month (seems to me that every blog have one ;-)). I will enter too. Now for MY giveaway, here is the card of the day. Sometimes you got a really good inspiration, and sometimes you just want to use your stash... So a simple card (not that bad) with a matching envelope. You have until tomorrow to play by making a comment on one of the post this week AND following my blog. Beautiful layout! I love the black and pink on your winter layout! Beautiful layout and cards. I love C'est Magnifique store. Great stuff. I like pink for Christmas. Thanks for playing along with the sketch challenge at C'est Magnifique Kits! 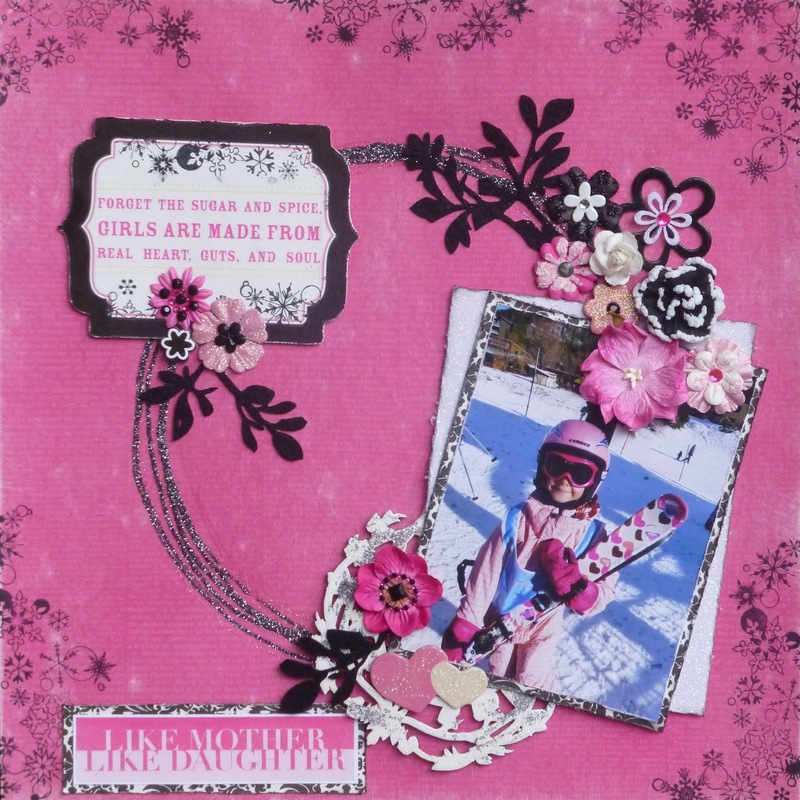 I think the pink and black color combination is perfect for this layout and I agree, it's "Shabby Bright". Awesome way to use the sketch!